Armenia men rejoicing over 2nd consecutive Olympiad gold. 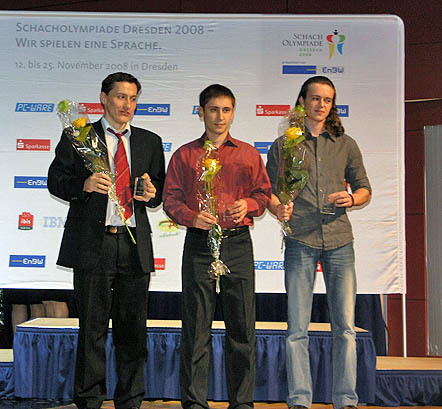 The legendary Maia Chiburdanidze (center) was clearly the leader. 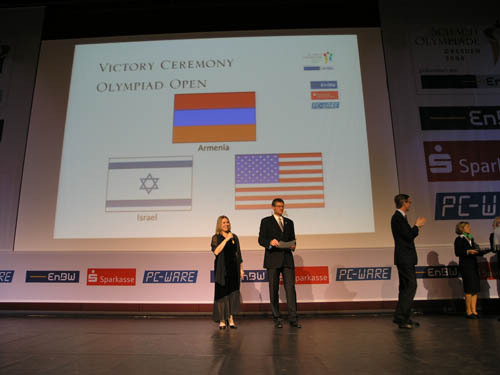 The 38th Chess Olympiad ended with a rousing Closing Ceremony as traditional chess powers Armenia (open) and Georgia (women) won the gold. 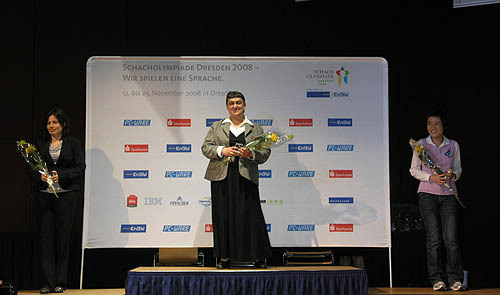 The presence of Armenian President Serzh Sargsyan in the last round combined with Karen Asrian’s death provided motivation for this year’s fantastic performance. Levon Aronian told The Chess Drum that the President has met with the team prior to the match with China and told them to relax. 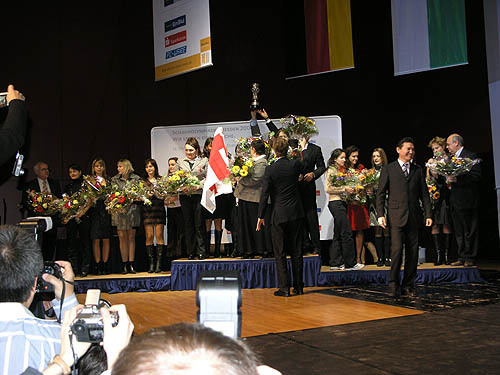 The match was tied until Tigran Petrosian clinched the gold with a win over a resurgent Li Chao. Georgia’s Maia Chiburdanidze needs no introduction in the chess world. 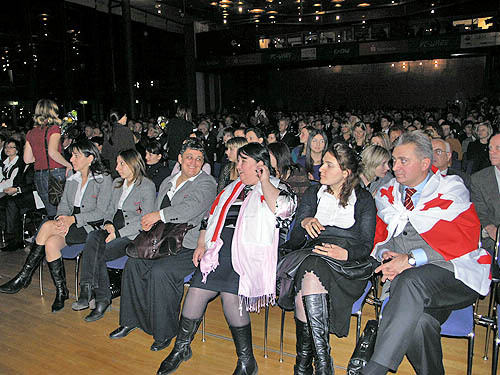 When she went to receive her individual gold medal for performance on board #1, the crowd gave a thunderous applause and many were brought to their feet. 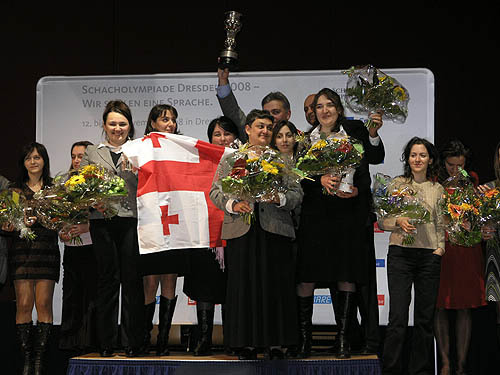 Georgia has been one of the traditional chess powers in women’s chess and they reaffirmed their strength with an impressive tournament. The key win was indeed over a Chinese team that had been leading the entire tournament. Georgia ended on a six-match win streak. 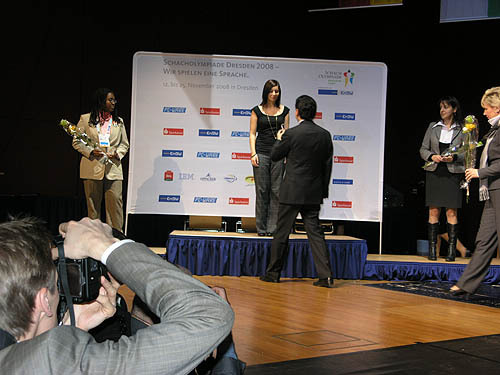 The USA won bronze medals in both the open and women’s competition. 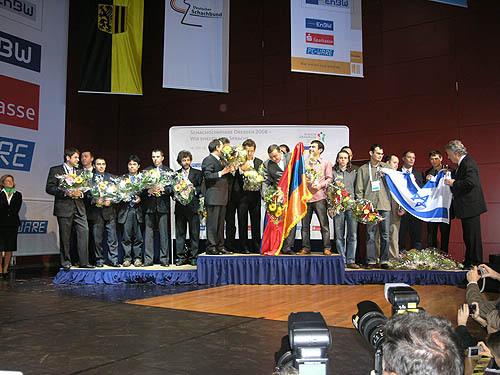 This is the first time this has happened and it will be a boost to the US chess community. The key tangible for the men was balance as the top three boards scored 6.5/10. The women’s key was dominating performances by IM Anna Zatonskih (8/11) and WGM Rusudan Goletiani (9/11). Irina Krush held down board #1 admirably (6.5/10) while WGM Katerina Rohonyan scored 6/10. 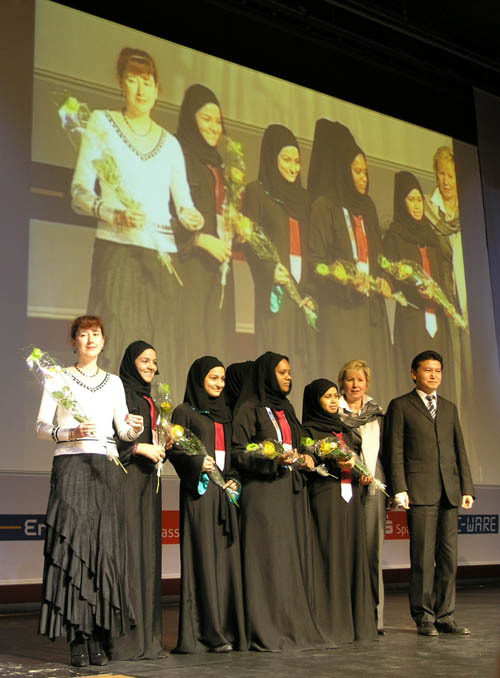 Qatari women win Category E prize! 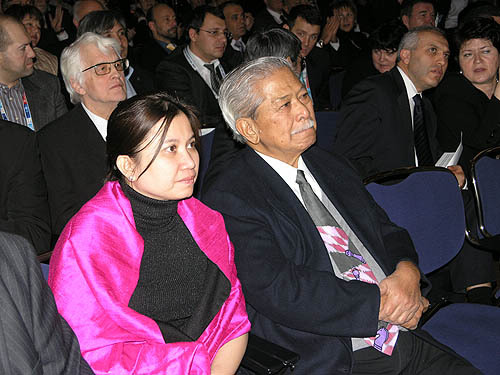 Honorary FIDE President Florencio Campomanes and wife Lace. Georgia’s winning team with team captain drapped in Georgia flag. The country has overcome political challenges this year. 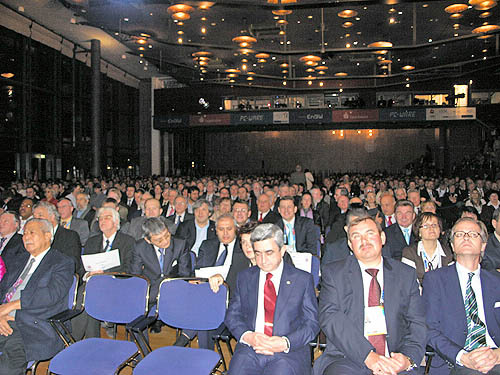 The audience at the Closing Ceremony. There were spectators in the balconies and the galley was filled with photographers. 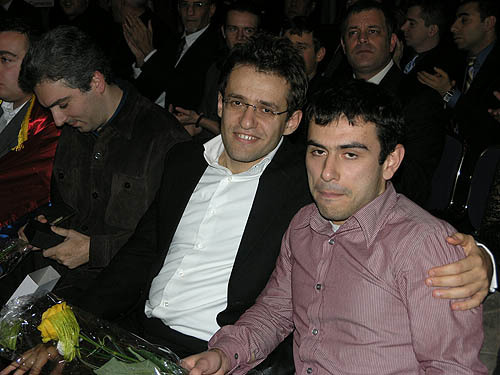 Armenian GMs Levon Aronian and Gabriel Sargissian.